The old classic warhorse in a convenient travel size! Slide rules have been teaching the basics of arithmetic for ages. 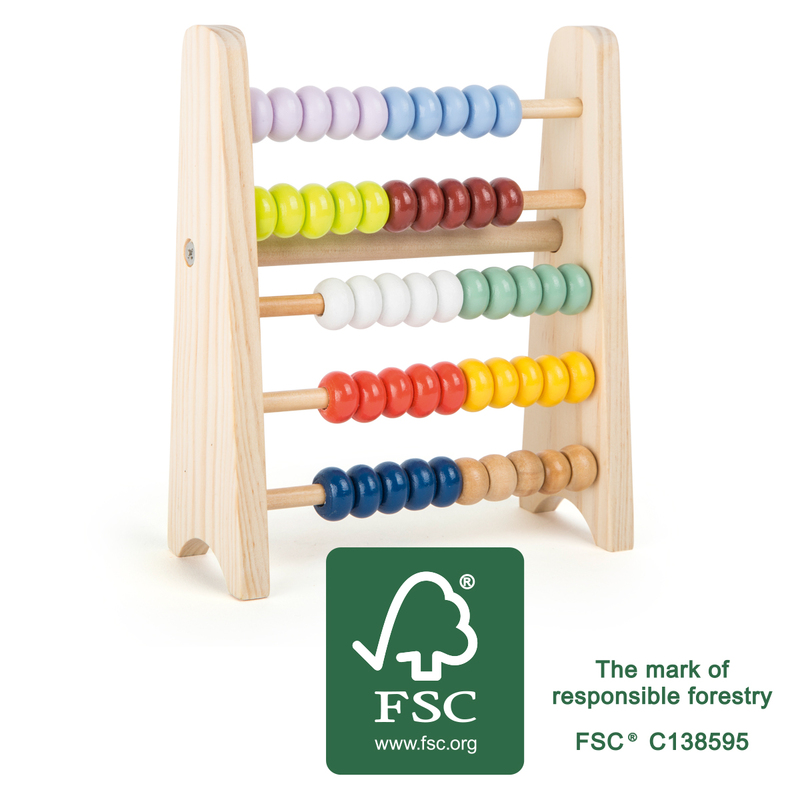 This one is made of robust FSC® 100%-certified wood and lets the young math whizzes practice maths, even on-the-go. Brightly colored, movable beads in five rows teach the user about numerical proportions. In this smaller format, this slide rule fits in every schoolbag! Please note that this product previously had the product number 10848.